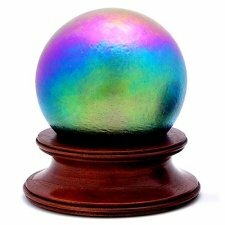 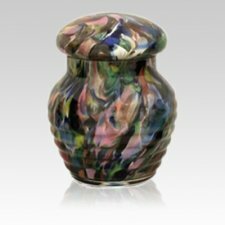 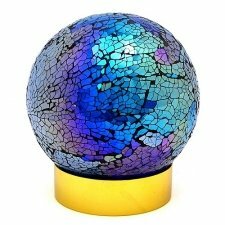 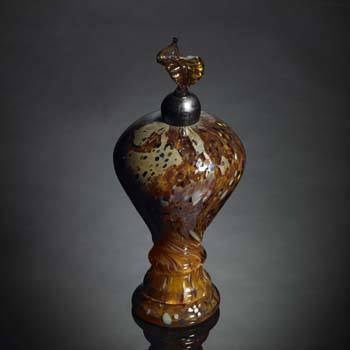 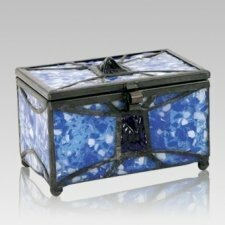 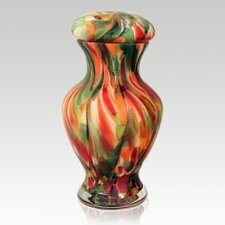 Questions on Pet Cremation Urns made from Artistic Glass - Find Your Answer Here! 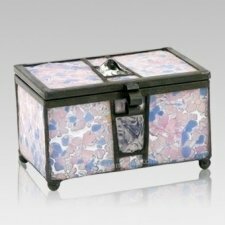 Sigmund Freud once said, "Time spent with cats is never wasted". 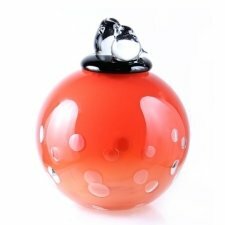 We believe that that should be revised to "time spent with any pet is never wasted", and feel that any pet owner would quickly agree. 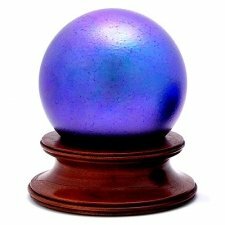 Our pets are often some of the most interesting and caring friends that we will have the pleasure to make in our lifetimes. 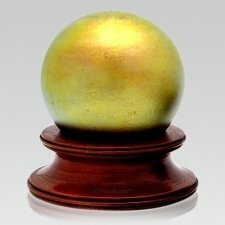 These remarkable beings are truly selfless (except cats, who are notorious for being selfish, but isn't that a part of their nature we love?). 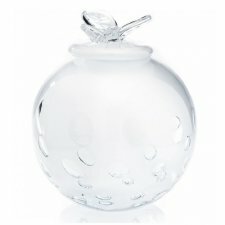 They can certainly help us discover an endless reservoir of love in our hearts that we may not have even knew we had. 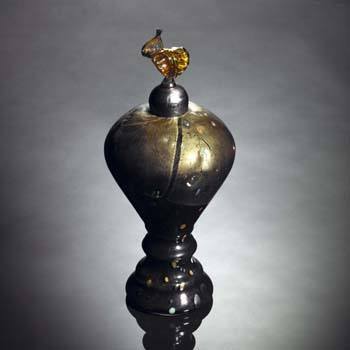 In fact, it seems that the love we feel for them is miniscule compared to the amount of affection they bestow upon us. 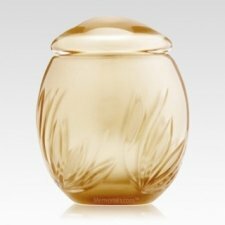 Those are just a few reasons why when we lose a pet that we are especially fond of, it is truly a heart wrenching experience that leaves us grieving as if we had lost a close friend, or even family member. 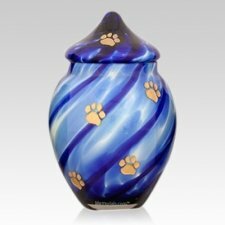 While there is nothing that could ever replace the pet, or even begin to fill the void that we feel their loss left in our lives, creating a memorial tribute to them can help cope with their passing, and provide a way to honor their memory. 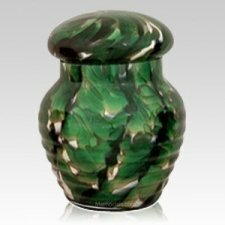 Just as cremation gained more and more popularity in recent years for humans, it has also become a very sought after choice of disposition for pet owners who have, unfortunately, suffered the loss of a pet. 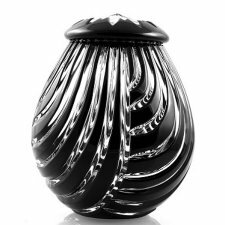 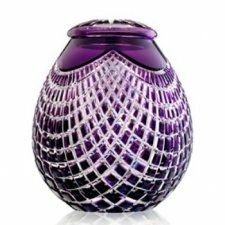 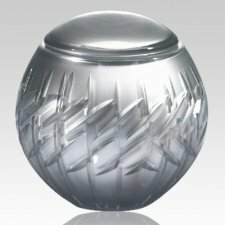 Glass pet urns offer a wide array of artistic and elegant cremation vessels to hold and protect the earthly remains of a beloved companion. 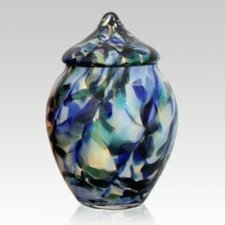 These remarkable vessels feature beautiful designs, some of which are very elaborate and distinctive, and others eloquently embody simplicity. 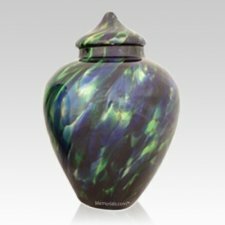 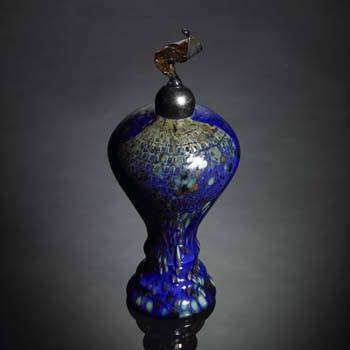 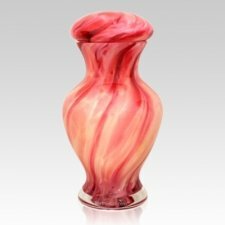 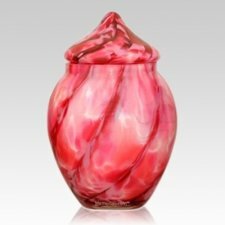 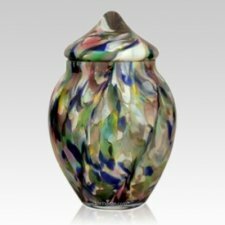 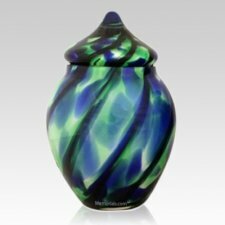 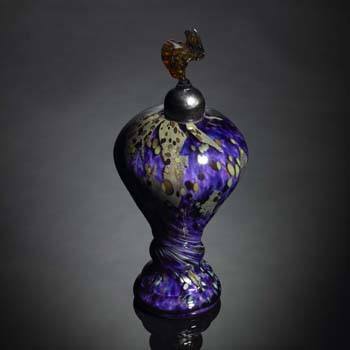 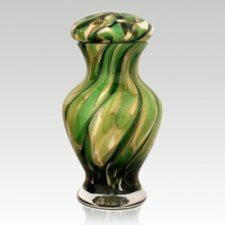 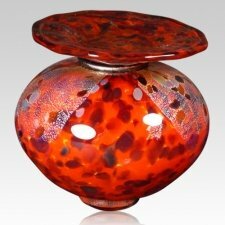 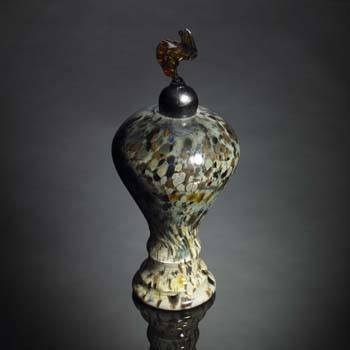 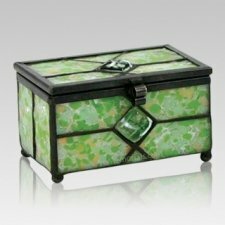 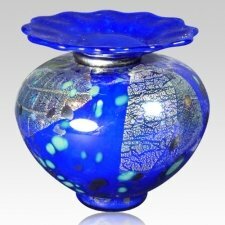 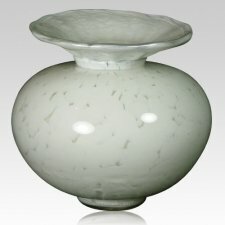 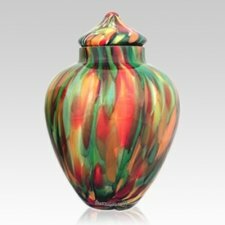 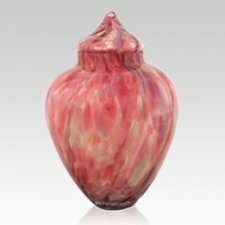 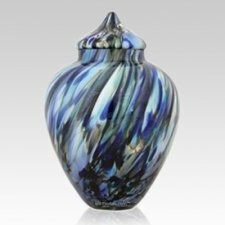 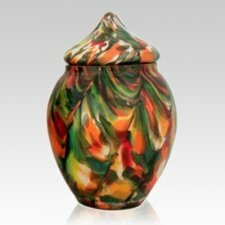 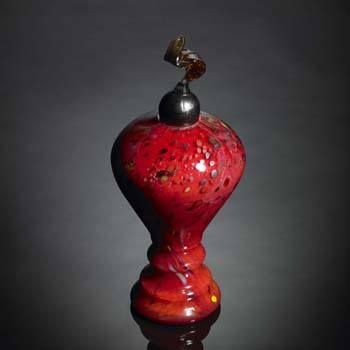 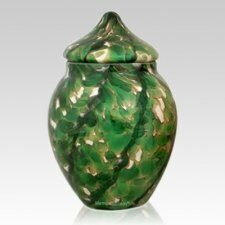 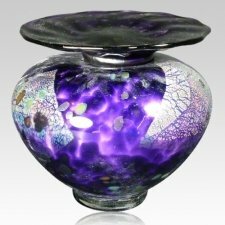 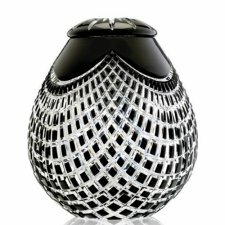 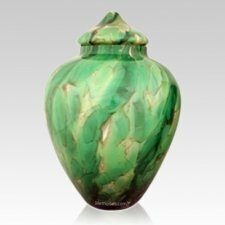 Many of these beautiful cremation urns are created by master glass artists, so the pieces are often unique works of art that could never be exactly duplicated. 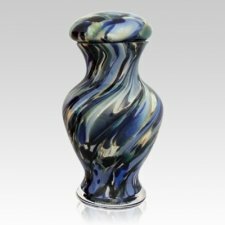 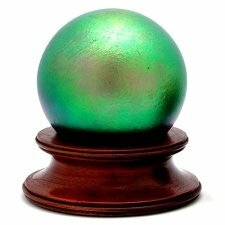 This helps ensure that the memorial urn is not only visually appealing, but as extraordinary as the pet it pays tribute to. 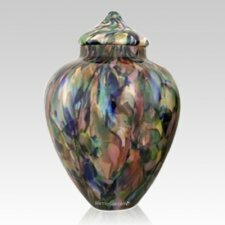 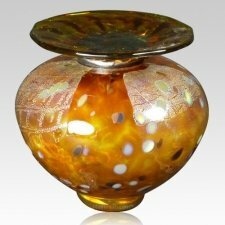 The colors and patterns offered by these elegant vessels are nothing short of breathtaking, and a glass cremation urn, when properly cared for and handled, can last for years, even generations. 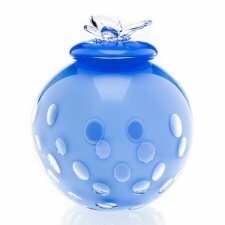 A pet that is truly loved, will never be forgotten. 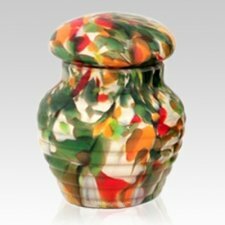 They not only leave paw prints on the couches, carpets, and yards they lived in, but also on our hearts and memories. Even after their loss, we continue to learn from them, and even grow in the process. 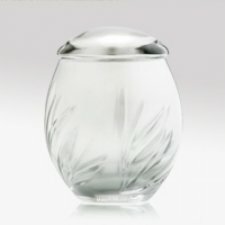 If our pets had voices, they would tell us not to mourn their loss, but instead, relive and rejoice in all of the happy memories we got to share with them. 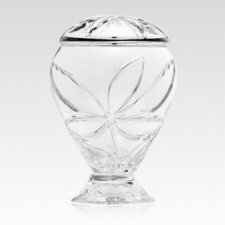 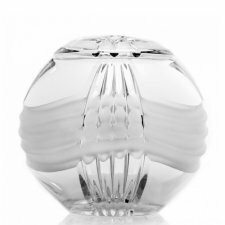 A beautiful glass pet urn can be a gentle reminder of the happiness that our pets brought to our worlds. 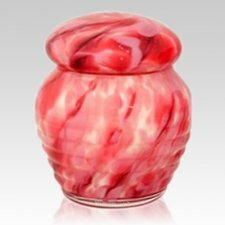 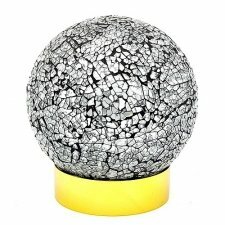 "After ordering the Cremation Urn for my father's ashes, the funeral home was most uncooperative. 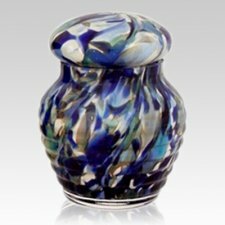 I called Memorials.com distressed, and they where most helpful in helping me to deal with the funeral home. 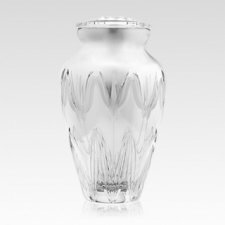 They also kindly offered to refund the money for the urn if we were unable to resolve the situation with the funeral home. 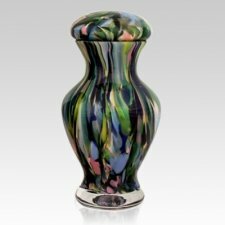 My mother loves the urn; it is just what she wanted for hers and my father's ashes. 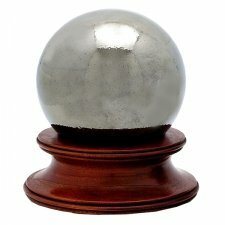 I am grateful for people like the Customer Support who understand how vulnerable one feels in this whole process. 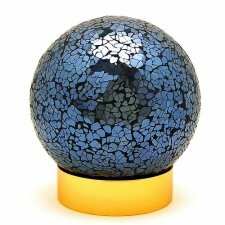 Thank you so much. "